There are many who prefer their own company. They prefer the flexibility it affords them. When they want to explore the world, they prefer to travel alone. These trail blazing solo travelers are the prime target audience for travel corporations as they tweak and change their tour packages to cater to them. There are a few things solo travelers need such as lodging, exploration of the city they are visiting or passing through, music for company and Food are of obvious importance. Lastly, many solo travelers prefer to meet up with other fellow solo travelers with whom they can share their stories and experiences. Hence, with this blog, we aim to cater to these avant-garde sections with the best solo traveler apps. These apps will surely keep them company on their long journey. Starting with the basic necessity of solo travelers, we focus on all the key applications that are required to make their journey more easy, safe and fun. This can be achieved with apps for solo travelers. After all, smartphones are mini computers which offer their users a good network and mobility. One of the key factors that comes into play for every traveler is connectivity issues. To combat them, there are many apps available online. For the best app for solo traveler in regard to connectivity, the below mentioned are the best options. Deals and discounts galore! 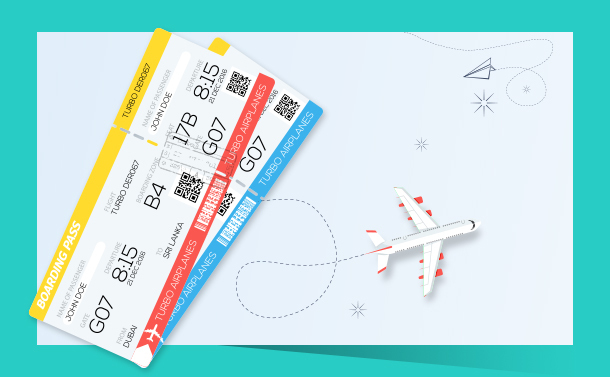 With Hopper, one can save a lot of money on airline tickets and reach their destination in a budget friendly manner. 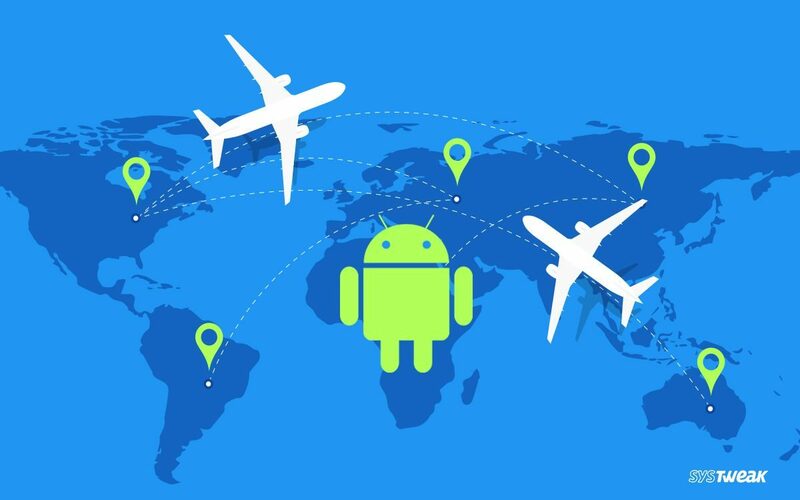 With better connectivity options, and a 24/7 customer support, this app for solo traveler shall get real time updates about their flights and save themselves thousands of dollars in money and their precious time. For those who prefer the more unconventional route, OsmAnd Maps, is a boon. This solo traveler app gives them the freedom and flexibility to navigate across cities on their bikes, caravans and even reach destinations such as restaurants, parks and get hiking routes on one’s journey. Most importantly, this application is available in 31 languages, and covers almost all the countries across the globe. The issue many boarding houses, hotels or motels have with solo travellers is that there is no knowing when they shall pack up and move on. But, on the flip side, lodging is one of the biggest issues for a lone traveller. Hence, mentioned below are 2 of the best Apps for solo travelers for arranging their lodging. Covering hostels, motels, hotels, B&Bs and even caravans. Every type of lodging is available for hire with the help of this app. 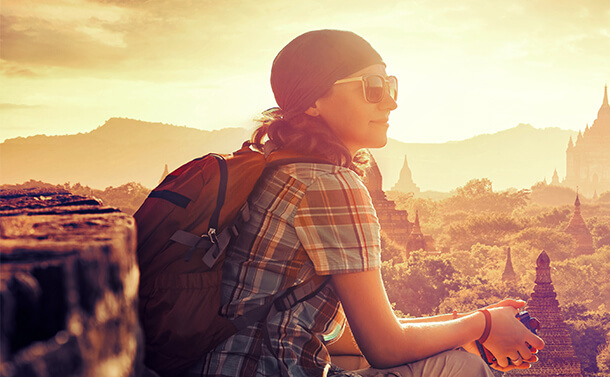 For backpackers, campers and solo travelers, this application is a must as not only does it offer its service in 37 different languages, but it displays lodgings based upon your budget constraints and travel date flexibility. Another key feature of this app is that it has a ‘Hostel Noticeboard’ feature with which one can coordinate meetups and become part of the events happening on its many venues. With multiple deals, discount, offers and packages available, Travelocity has become quite a favorite of the family and single crowd alike. Also, apart from booking flight tickets, one can book hotels (of any grade) and book themselves on one of its many trips and choose a ride in the many different cars that it has for rent. Its app is easy to use and provides users with a free cancellation policy. Rooms and lodgings can be booked as per the discretion of one’s budget, meal preference, and even choice of amenities. One of the key purpose of traveling alone is to get that moment of freedom where one can just park their car, get out of their vehicle and take in the moment. Moving around on the road, one comes across many hidden gems. A restaurant specializing in a particular cuisine or a doll museum! To further know more about such hidden treasures, the below mentioned apps for solo travelers help in getting the very best out of their city, location exploration. Explore to your heart’s content. Visit bakeries, or go on a wine sipping tour all on your own with the help of this app. It helps one find the best places to eat, visit, explore and even avoid. With offline navigation option, it is the perfect app for one on the move. For those walking, cycling, driving, this application shows the directions to POI (Places of Interest) and many known landmarks of the city one is in along with the traffic situation. 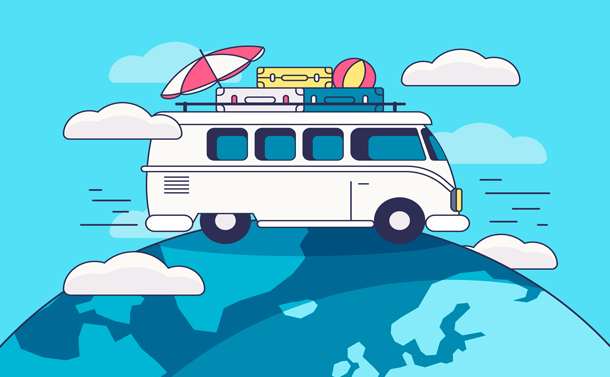 With more than 150 countries covered including 60,000 destinations and detailed maps to support the same, this application is a must for every solo traveler. One of its key feature is that this application makes one have the security and safety of knowing the location, its proximity to the hotel one is staying at, the best mode of transport one should opt for before reaching the destination. It manages to do this with the detailed information of the streets, footpaths, and bikeways, and other logistic related queries. Additionally, it provides the user with in depth content of the places of their interest. With a 24/7 tech support to back up the user for any queries, makes this one of the best solo traveler app of all. One of the biggest hurdle for any traveler is in getting the type and style of food that they prefer. Be it kosher, halal, vegetarian, vegan or even exotic street food, a traveler must have information where they can find the food of their choice. To help them in this dilemma, Solo travelers relay on apps. Mentioned below are the best food apps for solo travelers. Come one, come all, its an ‘Open Table’. With 43,000 restaurants worldwide linked on this application, one can definitely find a food type that appeases one’s palate and is not hard on their pocket. Ranging from fine dining, to local cuisine, from street foods to ceremonial kitchens, one can find a whole lot of variety with the help of this application. It even books one’s reservations and provides the users to add services to make one’s visit to their liking. Android: varies with the user’s device. When one is in a new town and doesn’t know which eatery to visit, one must always rely on the views of the locals. In this digital age, one does not need to go around asking for recommendations. Simply, downloading this application can help them get a million plus reviews of the local food joints. Additionally, with Yelp, one can choose, the restaurant or street food vendor according to one’s convenience. Be it breakfast, lunch or dinner, one can always find something to satisfy their hunger pangs. One can choose their meal after browsing through the online menu, the hygiene standard review and even get their food delivered to their current location. Is there anything better than meeting with fellow travelers and sharing stories of one’s travels? Yes, there is when one too gets to listen and know the many different experiences others have had on their journey. Mentioned below are the best apps for solo travelers who want to meet up with acquaintances or complete strangers in a new city. A social media page created for solo travelers? Why, yes! With the intent of uniting solo travelers, backpackers, frequent travelers Backpackr is all about travel. 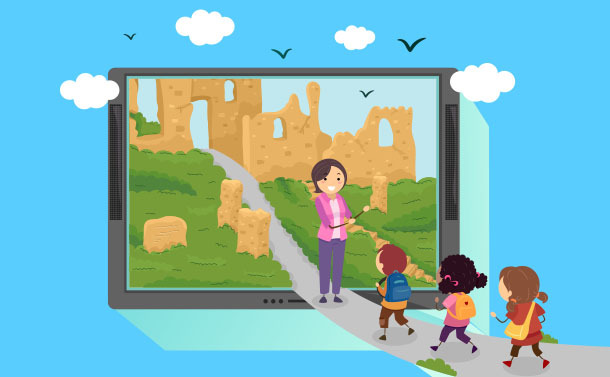 With it, users can increase their groups and social interactions with fellow travelers who have visited far off places and exotic locations. With the information provided, one can also plan a similar trip and keep in touch with others. This app also works as a virtual passport, in the sense, when one visits a whole new country, they can tick mark it on the map as ‘Explored’. With a thousand plus groups ranging from dog walking to lepidopterist (those that study butterflies and moths) meeting once a month, ‘MeetUp’ has a little something for everyone. With it one can plan an excursion with the hiking group or seek information about a trail from the same. Also, if one wants, they can use this app’s network of people and meet with strangers as friends in every new city one visits. A must have app for every keen solo traveler, this app is the perfect way to keep in touch with the many people one meets in their travels. Travel songs. They are such a comforting companion on a long journey. This writer is spoilt for choices in choosing the best songs while on the move with family and friends. For many, travel songs a big source of inspiration in deciding their next destination. The famous route 66 is an inspiration and a symbol of classic Americana. ‘On the Road’, a novel by Jack Kerouac, is a classic example of the journey being more important than the destination. Similarly, On the Road Again (Willie Nelson) is another classic example of the same. So if one ever wonders where to go next, all they need to do, is take a look in the jukebox! Hence, mentioned below are the best apps for solo travelers to satisfy their music thirst. One of the biggest collection of songs reside on this application. With it, one can create the ultimate playlist of songs that one prefers. One can sort through song with the help of many filters such as genre, style, era amongst others. With it, one can create complete playlists in which one can categories one’s song preference. A must have app for those on the move. Spotify is probably one of the most popular music apps of all time. With it, one can listen to the best songs, groups and bands from across the globe. One can create a unique playlist like any other. This is a perfect app as the song files are compressed and do not take much data to play. Additionally, this app makes travel easier with the many different genres of songs that are available online on this app. There you have it folks! The best solo traveler apps for those who prefer their own company. These lone wolves are the trailblazers in the hospitality industry and are symbolic of the new era of travelling. Do drop in your comments in the section given below. Also, do mention which apps you would like to see features in the later blogs. Till then, safe travels my friend!